I just (legitimately) meditated for the first time today. For a while–months, maybe longer–I don’t remember exactly when that I began to notice a slight pressure in the area of the location of the third eye chakra! so I wound up looking into the 7 chakras. Now I’ve been noticing an increase or I should say becoming more intuitively aware and having empath episodes more often. I just was curious to see what you thought of these things. Congratulations on making meditation a part of your life. When we meditate, we’re doing ourselves and the world a big favor. I think it is very much human nature to want the unexplainable explained. I think it is also very much a thing of the west to ask, “can you give me a list of the top ten side effects and experiences that will be coming my way now that I am here?” Which is very helpful in getting us to miss the point of being here. Now. If you haven’t guessed by now I’m going to take a lot of time telling you I don’t know what it means for you. Existence is a very personal experience. Our attempts at mediation and moving beyond the physical world will be difficult to explain. I have had other people mention the pressure on the third eye during meditation. When I was meditating under the supervision of Nagaraja S. Pande in Mysore, India, I experienced that same sensation. It was like a finger trying to push it’s way out of my skull. I mentioned this to N.S. Pande and he gave me no explanation. I should make it clear after this experience I still consider my self “Still not Enlightened” and didn’t feel much change in my day to day life besides the general calming from the meditation itself. My friend experienced the same thing and told the head of her Yoga teacher training group and her fellow students, who all told her with great joy that she had activated her third eye. (I think developing the third eye is a better way to describe it than opening or activating the third eye.) I remember Harjiwan http://harijiwan.com/ telling me that through meditation and Kundalini yoga, the opening of the third eye will become physical. The skull will actually open in that spot. 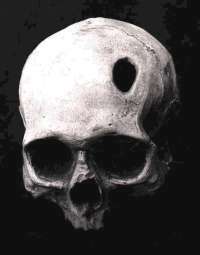 Native Americans had skull opening rituals. People have used power tools to create these openings in modern times. I don’t advise this. Meditation and yoga sound more appealing. But an extra hole in the head seems to give people a sense of euphoria. Is it the extra oxygen now reaching the brain that is now producing these effects? That might explain the power of Pranayama. Some people have said you may be experiencing the opening of some old, blocked-up energy and not the opening of the third eye itself… just a clearing out of the third eye energy path. It’s so subjective. The chakra in the third eye is an interesting place for us to be suddenly having some action. 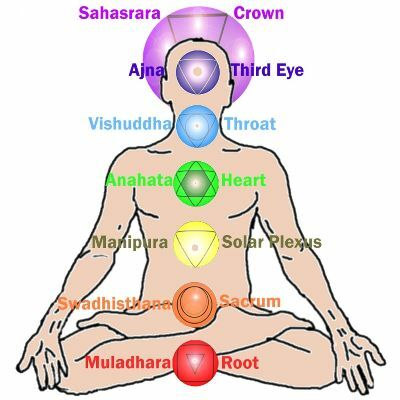 It is said that most of us are living in our first and second chakras and that by moving our kundalini energy up the spine, we activate each chakra until we reach the top (enlightenment?). But if we are reaching our third eye in meditation, how did our kundalini energy jump over the other chakra areas to reach the 6th chakra (called Ajna)? Can we just jump around from chakra to chakra? AND if we already reached the other 5 chakras wouldn’t we know? The Third Eye can only be properly activated when the lower five chakras are balanced and aligned. If the Third Eye is not linked with the other chakras, we may become obsessed with the search for altered states of consciousness and psychic powers to satisfy our ego. This extinguishes our inner light, moving us further away from Enlightenment. As far as becoming more intuitive through activation of the third eye/6th chakra, I don’t think it exactly relates to the third eye pressure but is more an artifact of sitting in meditation daily. In my opinion our intuition is 100% on, 24/7, but most of us are not listening or have not learned to listen. Which is the point of meditation. Learning to listen. Heightened intuition would be a good sign that your meditation practice is on the right path. With meditation, we are trying to unlearn and clear the way so we can receive the information that is already available… information we can’t hear because we are already full of so much information. Meditation is not about trying to learn or acquire more. Meditation is a vehicle on a trip to the no mind, or the know mind. The 3rd Eye Chakra is the sixth in the 7-Chakra system. It is located between and just above the eyes. The Sanskrit word for this sixth chakra is “Anja,” meaning ‘command.’ Working with this chakra gives us a greater spiritual command of our lives. The color is INDIGO, and the element is Light. Physically, it is connected with the pituitary and pineal glands, eyes, ears, and nose. It relates to vision, intuition, intellect, inner wisdom, perception, and mental clarity.